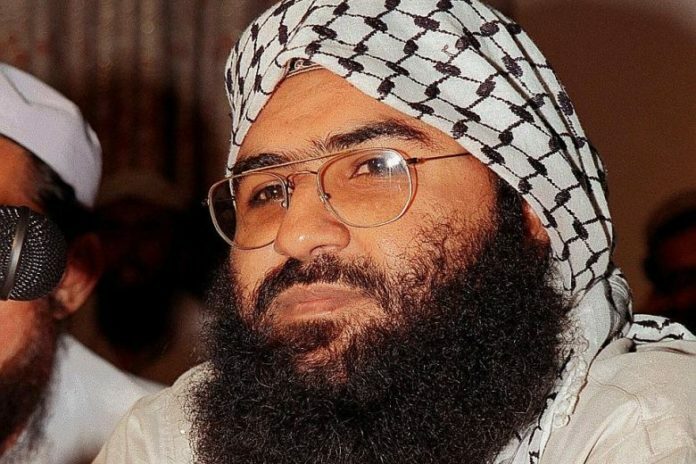 New Delhi: Terror mastermind Masood Azhar had undertaken a month-long sojourn to England to collect funds for militants operating in Jammu and Kashmir and received Rs 15 lakh (Pakistani currency), though he got a “very poor” response while travelling to Sharjah and Saudi Arabia before arriving in India in 1994. 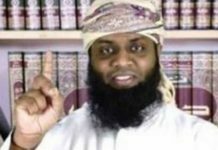 Mufti Simail, a cleric at a mosque at Southall in London, had facilitated his travel. Originally from Gujarat, Simail had studied at Darul-Ifta-Wal-Irshad in Karachi. “I stayed with Mufti Ismail in the UK for about a month and visited several mosques in Birmingham, Nottingham, Burleigh, Sheffield, Dudsbury and Leicester where I sought financial assistance for Kashmir (militants). I could collect Rs 15 lakh (Pakistani currency),” he told his interrogators. In the early 1990s, Azhar had visited Saudi Arabia, Abu Dhabi, Sharjah, Kenya, Zambia and collected funds for the terrorists operating in Jammu and Kashmir. Azhar had also visited Saudi Arabia for fund collection and contacted two main agencies in the country handling such aid but without success. One of them is Jamiat-ul-Islah, which is an ally of Jamaat-e-Islami. The Ashok hotel in Delhi’s posh Chanakyapuri area, which houses the diplomatic enclave, was the first stop of Azhar, who dodged immigration officials’ queries about his Portugese passport by claiming he was a “Gujarati by birth”. The Pakistan-based terrorist, who was arrested in Jammu and Kashmir within the next two weeks, had also stayed in capital’s hotel Janpath and visited Lucknow, Shahranpur and Islamic seminary Darul-uloom Deoband, according to his interrogation report. “I hired a taxi and asked (the driver) for a good hotel. I was taken to the Ashok hotel in Chanakyapuri where I stayed,” the interrogation report read. After arriving in the national capital, Azhar went to Darul-uloom Deoband , Gungoh and then Saharanpur before returning to New Delhi two days later. On reaching Delhi, Azhar stayed at hotel Janpath located near Connaught Place. Since his flight to Srinagar was booked for February 9, he decided to visit one Maulana Abu Hassan Nadvi alias Ali Mian at his madrassa in Lucknow. Azhar reached Srinagar on February 9, 1994 where he stayed at the Madrasa Qasmian in Lal Bazar. Later in the evening, a militant, Sajjad Afghani, came to meet him along with his deputy Amjad Bilal of Harkat-ul-Jihad al-Islami. The next morning, on February 10, he was escorted by Afghani to a place called Matigund where all Pakistan/PoK-based terrorists had gathered. “They (the terrorists) were happy about my visit and merger of Harkat-ul-Mujahideen and Harkat-ul-Jihad al-Islami. 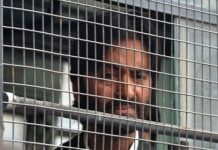 I had taken their addresses and letters so that I could communicate their welfare to their families after returning to Pakistan,” he had told the interrogators. While returning from Matigund, accompanied by Afghani and one Farooq, a militant of Matigund area, who was armed and had a wireless set, the car developed some trouble and stopped. 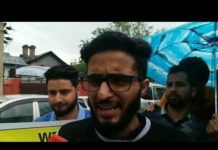 Azhar and his accomplice boarded a three-wheeler and proceeded to Anantnag. After travelling for about 2-3 km, the auto rickshaw was stopped by Army personnel, according to the report. “Farooq started running and opened fire which was returned by the Army men. Farooq managed to escape but I along with Afghani was arrested,” he told the interrogators. Azhar was freed from an Indian prison in 1999 along with two other terrorists in exchange for passengers of an Indian Airlines aircraft which was hijacked and taken to Kandahar in Afghanistan.